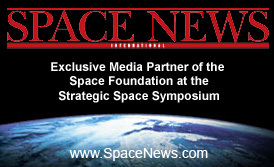 The enormous Qwest Center Omaha is the site for the Strategic Space Symposium. The Qwest Center spans 422 acres or approximately 100 city blocks. 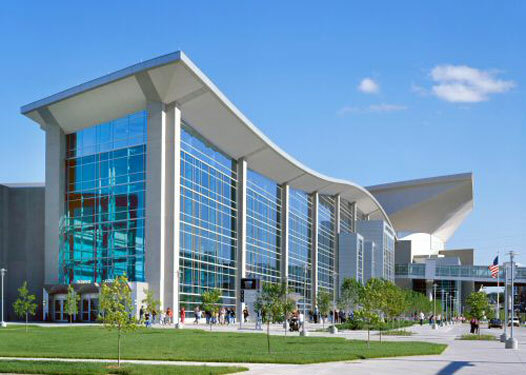 The facility opened in 2003 and contains more than 1.1 million square feet, including a 194,000 square foot exhibit center, more than 63,000 square feet of meeting space, and an 18,300 seat arena. The meeting space serves as the venue for a variety of national and local events year-round, such as religious, financial, and women’s conferences, art festivals, sports banquets, and NKC Dog Show. The arena serves as a major entertainment venue for big-name acts including Brad Paisley, Celine Dion, Nickelback, Billy Joel, Elton John, and Jeff Dunham, and sporting events including NCAA volleyball and basketball. The Qwest Center also includes approximately 4,500 parking spaces, with a 3-story, 500 stall parking garage attached to the arena portion of the facility. Visit www.QwestCenterOmaha.com for more information. The Hilton Omaha Hotel is connected via sky bridge to the Qwest Center Omaha and serves as the host hotel for the Strategic Space Symposium. Situated amid a vibrant and rejuvenated downtown area, the full-service Hilton Omaha hotel is Nebraska’s only Four Diamond hotel, earning the distinction every year since its opening in 2004. The luxury hotel is just blocks away from the historic Old Market. Hotel features include 450 spacious guestrooms, wired and wireless connectivity in each guestroom and lobby area, full service health club with spa, and complimentary 24-hour business center. Hotel dining areas include the contemporary Liberty Tavern Restaurant serving all-American favorites and Sunday brunch, Liberty Tavern Lounge, Hilton Omaha Coffee & Gift Shop, and in-room dining. Visit http://www1.hilton.com/en_US/hi/hotel/OMACVHH-Hilton-Omaha-Nebraska/localguide.do for more information. Visit www.visitomaha.com/visitors/things-to-do/attractions for things to do in Omaha.